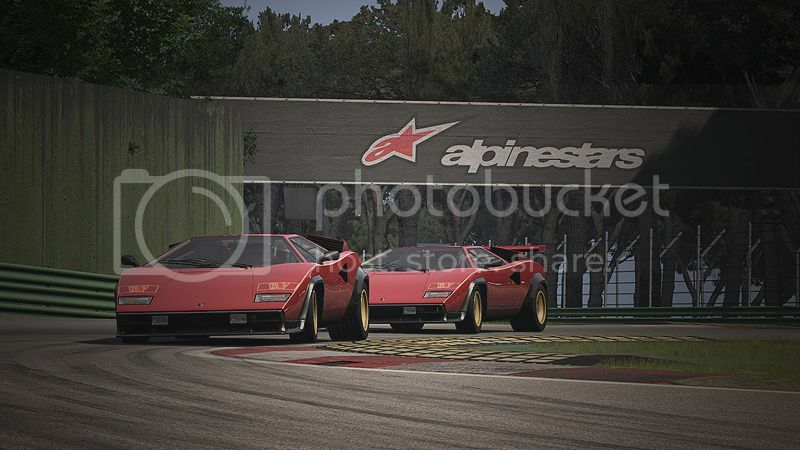 -The PLP app VERSION 1.6 (http://www.assettocorsa.net/forum/index.php?threads/a-pit-lane-penalty-app-for-repeated-track-cutting-1-2.17852/) is required. The file is an attachment on the first message, download and install as it is. Slightly unfortunate we use Imola two weeks on the trot but two very different retro cars. It's my birthday that day, so I might not be able to join. Mine is two days after.... only problem is I'll be seventy one! 2 weeks on the trot? last time i used it it was the 14th oct..
i was torn between this one and another one, it came down to a coin toss. [/quote]I think MJ is referring to his next event. Seems theres no difference between the cars, AC doesnt even mention it in the car descrption field. Both cars are identical in every way, shape and form, the only difference is with the wing being on or off. Some people like no wing, some like it with, so i decided to include both for whoever wants what. Why is the server set to Hockenheim national? Also, the tyres can only be street, is this forced on the server? To stop you practising Sorted now I hope. i have no problem changing to 15 laps if thats what people want, so peeps, if you want it altered then speak up in here, if not we will just leave it. Page created in 1.135 seconds with 55 queries.